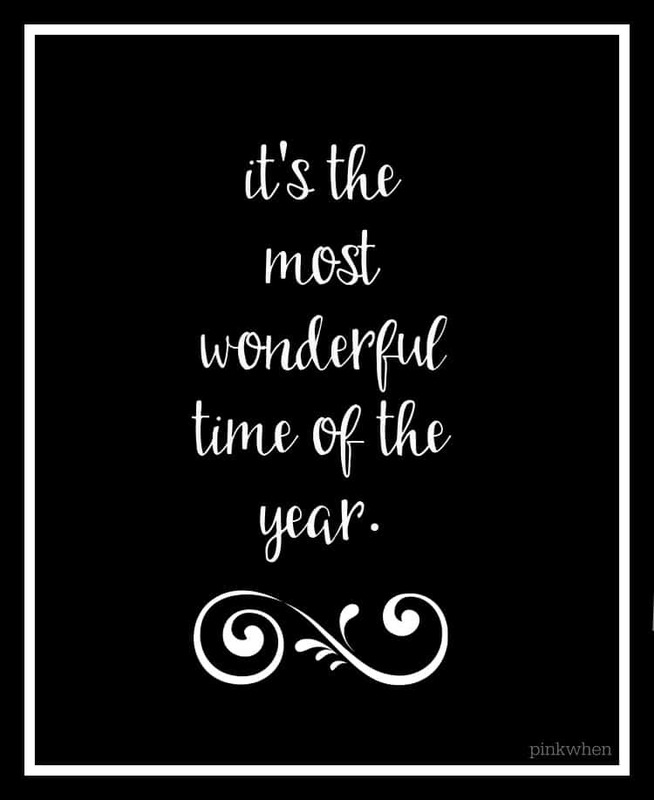 I am SO excited to start breaking out all of my fun holiday printables and Christmas decor. 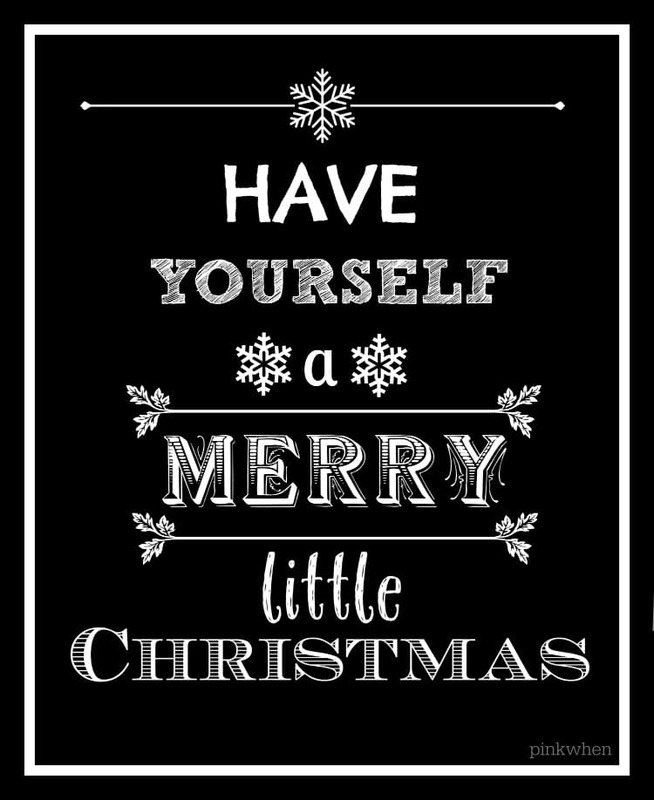 In fact, I have been creating printables up a storm this week and I love these black and white Christmas printables. They are so muted, yet still festive and fun. You can download all FIVE of them here, for free! 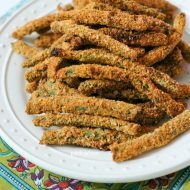 Check these beauties out below. I have so many fond memories of Christmas. One of my earliest memories of Christmas is spending it in Germany. My father was in the military and I was born over there a LONG time ago. It was a beautiful, white Christmas morning and my brother and myself spent the morning opening presents, and then having snowball fights and making snowmen. I can still remember coming inside and freezing from all of the fresh wet snow that we had been playing in. It was such a fun time, and it was such a LONG time ago. It’s one of the reasons I created these printables. Sometimes memories for me are black and white. 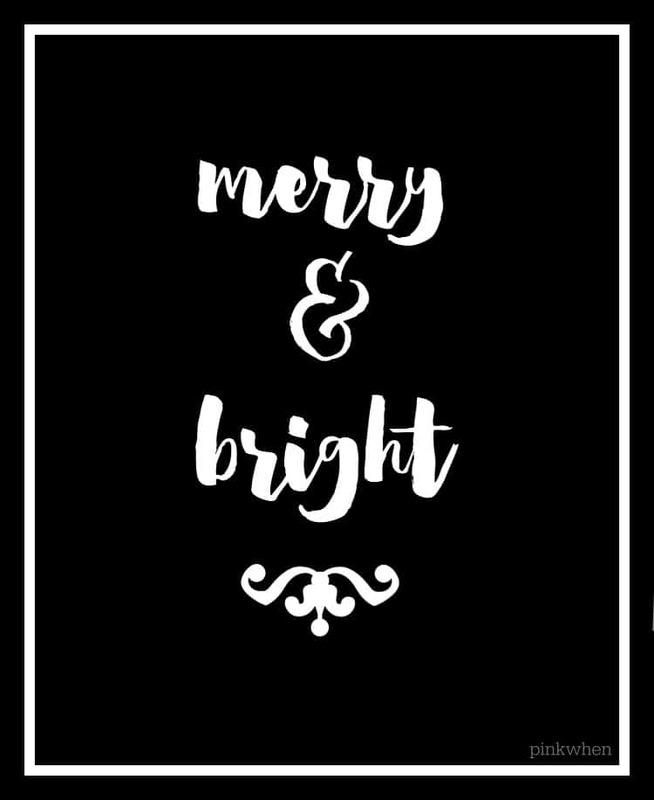 Maybe it’s my age, or maybe it’s because of the way I reflect, but I loved the idea of creating these black and white Christmas printables. They just speak to me. This year is predicted to be a cold and wet winter. For most of you, that means more snow. For us here in Louisiana it usually means more rain and ice. I am going to cross my fingers that we see a little bit of the powdery stuff this year. 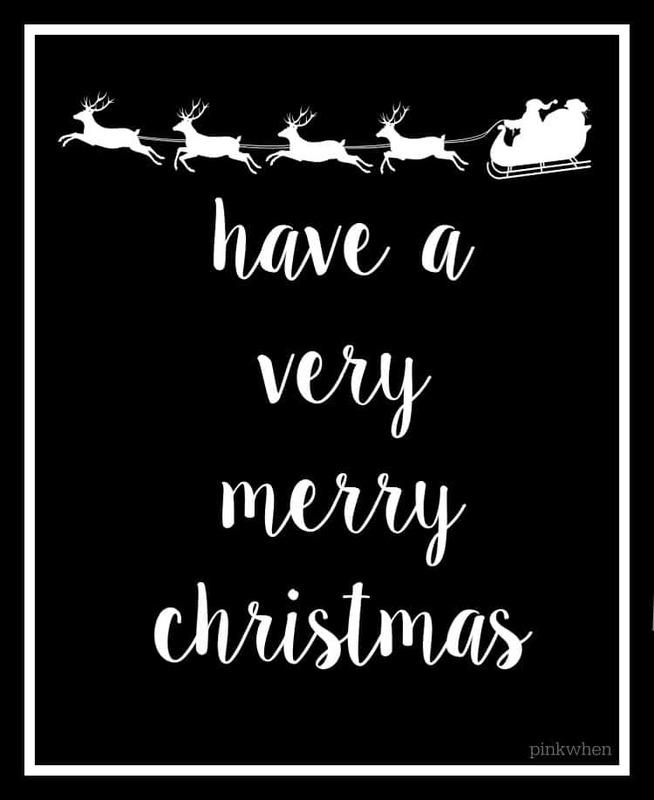 I hope you like these black and white Christmas printables as much as I do. You can click here and be taken to the download link where you can download all 5 printables in one package. You can find more free printables by clicking here. I will be sharing more printables for Christmas and the New Year over the next coming weeks, so make sure you keep coming back…or better yet…sign up for the newsletter so you never miss a printable. 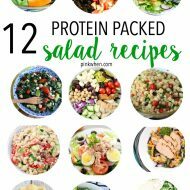 Click here to download all 5 printables. 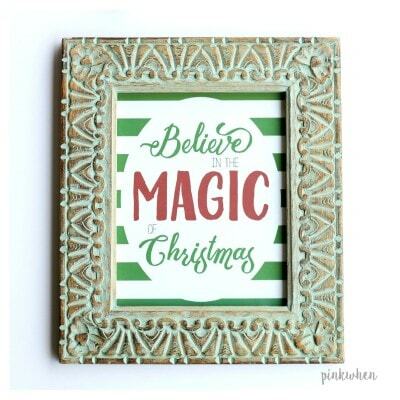 You might also want to grab this free Believe Christmas Printable. 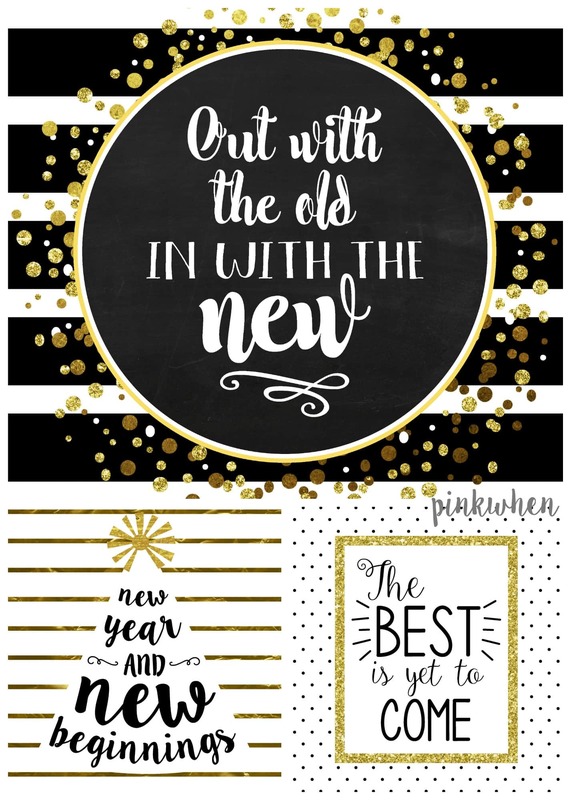 Or these 3 New Year’s Free Printables. And you can find all of our free printables here! If you have little ones, you will definitely want these 24 FREE Elf on the Shelf Printables.